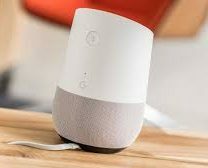 Google Home, the smart wireless speaker, has added voice control support for YouTube TV. Users can use their voice to switch channels, rewind content and add captions, amongst other options. Available in most major US cities, YouTube TV offers live local broadcast feeds from ABC, CBS, FOX and NBC, as well as popular cable networks like ESPN, AMC and FX, and regional sports networks.